Mold can grow and spread quickly within any area where there is moisture. In the home, mold is most often found in the bathroom, kitchen, or basement. Check for these signs of mold, and remember that mold growth can occur throughout your home if damp conditions are present. Knowing the common signs of mold will help you to promptly identify and remediate mold problems. Mold problems are cheaper and easier to correct if found early on. Inspect your home, particularly problem areas, periodically. If signs of mold are present, take action to remediate the problem as soon as possible. Certified mold inspectors and remediation specialists will help you deal with and prevent further mold problems. While not all mold can be easily seen, look for visible signs of mold growth around your home. Mold may appear on bathroom surfaces such as shower tile or on walls or flooring. It often appears as a dark greenish-black growth. Look for visible mold in damp areas or where there has been a water leak. Mold often grows in hidden areas, so it is important to keep in mind that you can still have a mold problem even if visible signs are absent. You may notice a persistent damp or musty smell in your home. 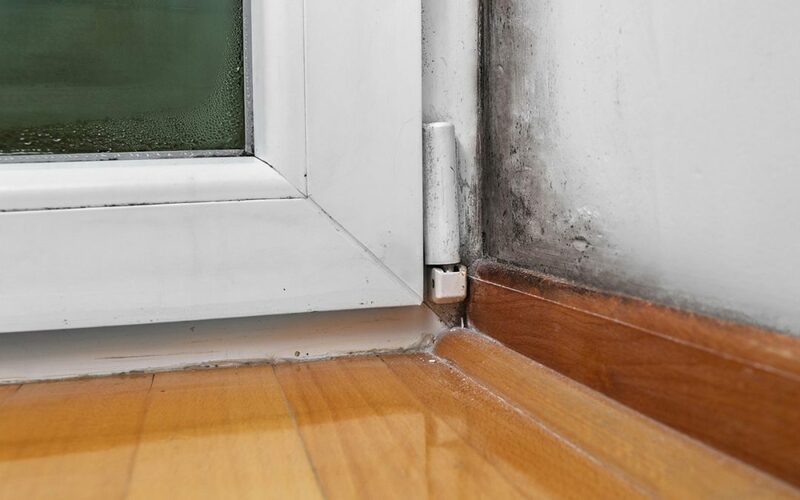 Because mold often grows in hidden areas within walls, under carpets, or behind cabinets, a persistent unpleasant odor may be the only sign of mold in your home. If you do notice a moldy smell, contact a certified mold inspector to help identify the source of the mold problem. If your home has recently experienced water damage from a leak or flooding, you may find you have a mold problem. Always fix water leaks immediately and make sure all moisture is removed from the affected area. Even a small amount of moisture left behind after a leak can lead to mold growth. If your home sustained major water damage or flooding, work with a water damage or mold remediation specialist to ensure the affected areas are properly cleaned up and free of mold. Even in the absence of other signs of mold, certain health symptoms can indicate the presence of mold in your home. Mold does not cause symptoms in all people, but sensitive individuals can experience serious health problems when exposed to mold. People with mold allergies may notice year-round congestion, sneezing, sore throat, cough, or asthma. Even people without mold allergies may notice some of these symptoms after prolonged mold exposure. Frequent fatigue or headaches may even occur. Affected people may notice their symptoms improve when they are away from home at work or school. If you have a mold allergy and notice symptoms, or you have otherwise unexplained health signs of mold, you should take action to see if your home has a mold problem. Checkpoint Home Inspections provides mold inspections, sampling, and testing to home buyers and homeowners on the North Oregon Coast. Contact us if you are concerned about mold in your home or if you would like to book any of our other inspection services.